Clothing/Jewelry Description A dark blue dress jacket, a light blue button-down blouse, dark blue or dark pink slacks, black high heels, a Love Story brand yellow gold diamond solitaire engagement ring, a Twin Lakes High School 1977 class ring with her initials "L.D.M." engraved on the inside of the band, a digital Pulsar watch and a yellow gold women's bracelet. Carrying a brown canvas bag with about $60 in cash. Distinguishing Characteristics African-American female. Black hair, brown eyes. Miller wears prescription eyeglasses. She has a dark-colored spot on the back of her left leg, and her ears are pierced. 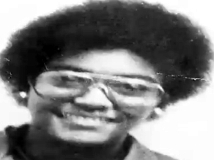 At the time of her disappearance, her hair was cut in a short Afro. Miller left her secretarial job at the Riviera Beach City Hall in Riviera Beach, Florida on December 11, 1981 to have lunch with her fiance, Otis Morgan. Morgan stated that they ate at his apartment in the 4300 block of Greenwood Avenue in West Palm Beach, Florida. She never returned to work and has never been heard from again. Morgan said he found Miller's beige or yellow 1979 Pontiac Grand Prix with the Florida license plate number SJU-375 unlocked and parked facing north in a field on Avenue J less than a block from the municipal complex, just south of 29th Street, later that same day. She had purchased the vehicle only the day before. Morgan dropped out of sight in late January 1982, but later resurfaced, saying he'd left town to get away from the publicity caused by Miller's disappearance. A photo of Morgan is posted with this case summary. After his return he moved to a new apartment in the 1000 block of Eighth Street in West Palm Beach. He said he felt guilty about something he'd done and wanted to tell the police about it, but never confessed to anything. He bought a twelve-gauge shotgun and said he would take his own life. Police told him if he did so, he should leave a note revealing the location of Miller's body. Morgan committed suicide at home on June 12, 1982, shooting himself in the chest with his new shotgun; the date was supposed to have been his and Miller's wedding day. He didn't leave a note. He was considered a suspect in her disappearance before his death. Caustic acid stains and bloodstains were found in his apartment, but there was not enough blood to test. Morgan had a history of violence towards women and, at the time of his death, he was also the prime and only suspect in the 1979 death of a 23-year-old woman in Houston, Texas. The victim, 23-year-old Brenda Faye Gallow, was his live-in girlfriend and she had been strangled. He'd been arrested and charged with her murder, but was released for lack of evidence. He was also investigated in 1980 for beating and choking another live-in girlfriend in Alabama on multiple occasions, but the case was dropped after the victim refused to press charges. 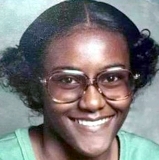 Miller lived with her mother in the 1300 block of west 33rd Street in Riveria Beach at the time of her disappearance. She had previously worked for two years at Palm Beach Junior College; she quit her job because she didn't like the long commute, and took the one at City Hall only three weeks before she vanished. 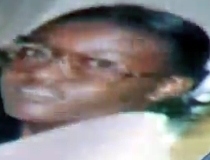 She's described as a religious individual who attended the Peaceful Zion Baptist Church and taught Sunday school there. She had met Morgan through the church. After Miller's disappearance, her family learned Morgan had lied about his background: he told them he was from Texas and was a widower, but he was actually from Auburn, Alabama, and his previous wife was still alive. Foul play is suspected in Miller's case. Her family, which includes five older siblings, held a memorial service for her a year after her disappearance. Her case remains unsolved. Updated 5 times since October 12, 2004. Last updated September 9, 2018; three pictures added, distinguishing characteristics and details of disappearance updated.